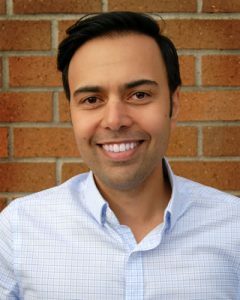 Dr Payam Eslami, General Dentist, (DMD, B.A.Sc, EE) has been practicing family and cosmetic dentistry in Chilliwack since 2013. 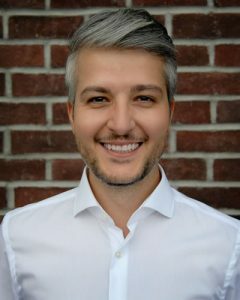 Prior to earning his degree in dentistry, he studied in Electrical Engineering and received his Bachelor’s degree with distinction at the University of British of Columbia. He then attended and earned his Doctor of Dental Medicine at the University of British Columbia. As a former engineer, he is a strong believer in implementing the latest technologies to obtain the highest quality of care for his patients. He enjoys attending post-degree seminars and continuing education classes to add to his skill sets. Dr. Eslami and his team are committed to providing quality care in a kind and comfortable environment. They have helped many patients from all ages overcome their anxiety towards dental treatment. He also values and strives to establish trusting long term relationships with his patients. His hobbies include reading, traveling, hiking, and playing soccer. Dr. Nikoo Eslami, General Dentist, received his degree of Doctor of Dental Medicine from The University of British Columbia. Dr. Nikoo believes in providing his patients with the most minimally invasive techniques which best addresses their concerns and oral health needs. His philosophy is to educate each patient on their dental health, working with them to come up with the best treatment plan possible for their specific needs. Most importantly, he strides to treat every patient like family with honesty, respect and compassion. When he is not seeing patients, he enjoys spending time with his wife and two daughters, cooking and listening to music. Born and raised in Chilliwack, Kathi enjoys all that the Valley and surrounding areas have to offer, especially the lakes and the mountains. 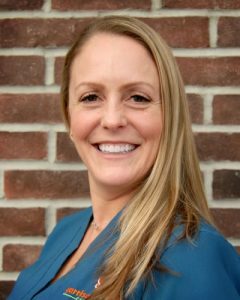 She has twenty years of dental experience and happily joined the team at Garrison Dentist when we opened our doors in September 2017. She is compassionate, caring, and is committed to improving the health and wellness of our patients. When not at work she loves spending time with her family and friends and is always planning her next adventure. 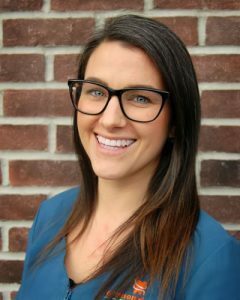 Maxime is a Registered Dental Hygienist with 12 years of experience. She always strives to accomplish gentle but thorough cleaning and her passion and dedication translate into exemplary results for our patients. 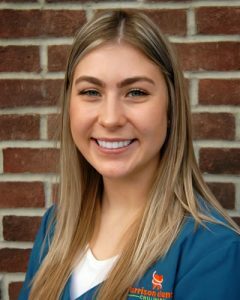 She enjoys partnering with patients to meet their goals and celebrate their success, while continually encouraging growth. She is also a very busy mom of 2 little boys and spends most of her nights and weekends playing the role of a “hockey mom.” She enjoys hiking and staying active with her family and friends. 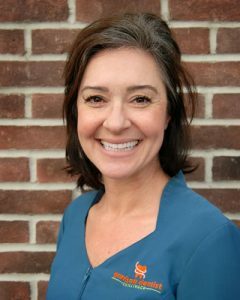 Donna comes to us with more than 25 yrs experience as a Certified Dental Assistant, and now currently works as our treatment coordinator and office administrator. She is eager to help and make your experience in our office a great one. Donna is a resident of Chilliwack and grew up here too. She enjoys the great outdoors with family and friends and you can find her hiking and running the local trails year round in this beautiful community we live in. At Garrison Dentist Chilliwack, we’re very proud and fortunate to be members of BC’s own 123Dentist – Community Dentist Network.